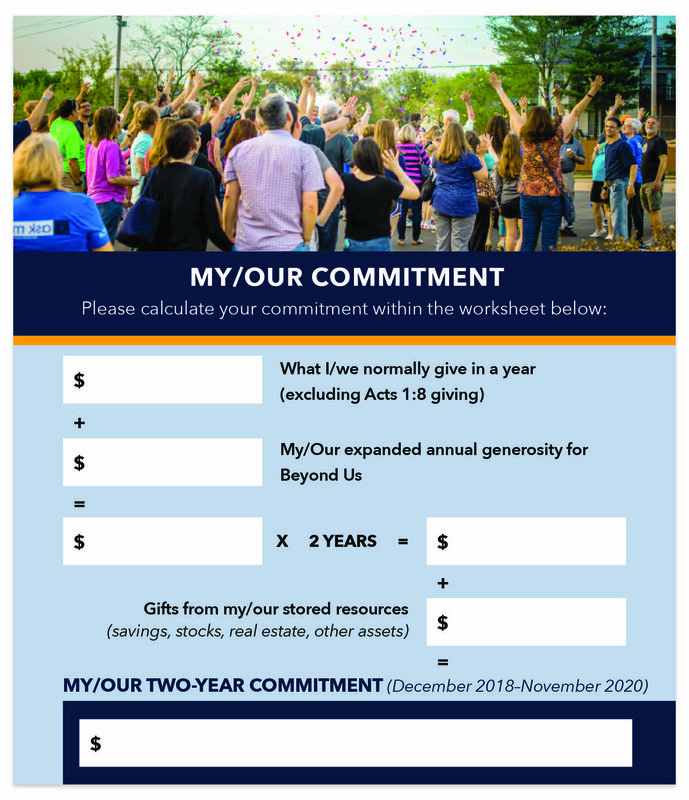 If you did not receive a hard copy of a commitment card on Oct.14 (or misplaced it), you can use this online commitment card* to make your 2-year commitment to our Beyond Us initiative. Add together the total number from the previous two answers. Take the pervious number and multiply it by two. Add together the previous two answer to arrive at your commitment. Thank you for joining us and our vision for Waypoint Church. *Only Clifton Wise (Executive Pastor of Operations) and Judy Brady (Finance Manager) will have access to online submission data.